Gorgeous laser-cut Little Red Riding Hood book by artist Sybille Schenker! Images from here. Schenker has also released a version of "Hansel and Gretel", which Surlalune featured here. But one of the most famous dance variations is the Bluebird, above (starts at aobut 3:30). The dance has captivated audiences for generations, as the male dancer leaps and jumps so effortlessly it appears he really can flutter about like a bird. But who is the Bluebird? In "The Bluebird," a king marries a malicious woman after his wife dies. The new queen persecutes Florine, the king's kindhearted daughter, and promotes her own wicked daughter, Truitonne, whose face resembles that of a trout and whose conduct is decidedly fishy. The queen wishes the young King Charmant, who loves Florine, to marry Truitonne. Because he refuses to do so, Truitonne's wicked fairy godmother condemns him to be a bluebird. Florine is locked in a tower, where she is discovered by Charmant, who visits her nightly. The Bluebird pas de deux presumably shows Charmant happily fluttering in the presence of Florine. When a spy sees the bird caressing Florine with his claw and kissing her with his bill, the queen places sharp swords on every resting place near the tower so Charmant can no longer easily alight. Fortunately, the people of the kingdom rebel against the queen. Florine, released from the tower, searches for her beloved bird and, after terrible hardships, finds him. He regains human form, but the fish-faced Truitonne becomes a pig -- a linguistically appropriate metamorphosis, for her name derives from the French words "truite" (trout) and "truie" (sow). Here's another hidden gem I found out about on Meagan Kearney's Beauty and the Beast page! 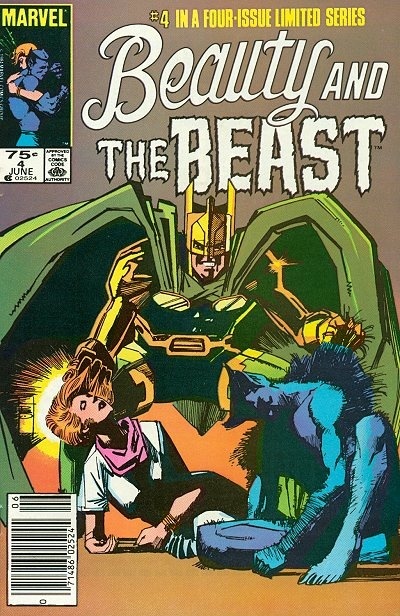 Back in the mid-90s, Marvel published a series of short comic books that were a spinoff of the Disney movie. You can read them all on Disney Wikia! Although, at least on my computer, each time you go to a new page you have to wait for the popups to go away to allow you to read the words at the top and bottom of each page, which is kind of annoying. But since the issues aren't that easy to track down in real life it's a small price to pay for a true Disney BATB geek. 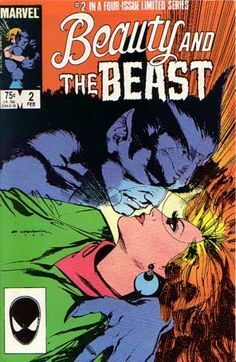 Beauty and the Beast was a series of comics published by Marvel Comics, spun off from the 1991 animated film of the same name. It ran for 13 issues from July 1994 to July 1995. 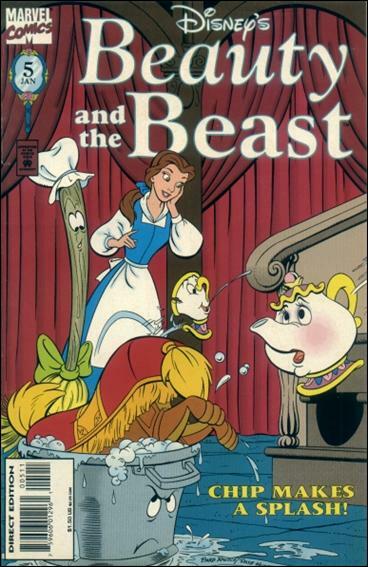 The comics took place during Belle's stay at Beast's castle, more specifically an unknown period after Beast, at Lumiere's suggestion, gave Belle his library. 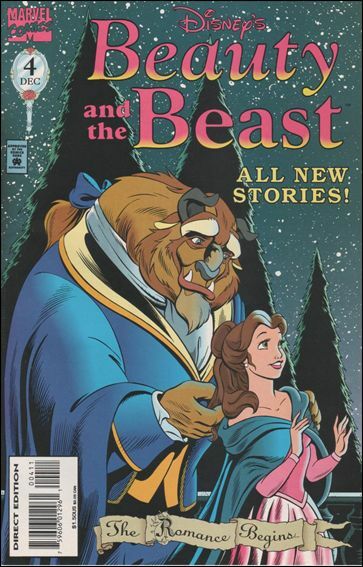 Until Issue 7 (or Issue 8 if one counts flashbacks), the comics (with the exception of issue #6) both focus on Belle's stay at the castle as well as events occurring at the village (the latter mostly regarding Gaston trying to find a way to impress Belle, with the Bimbettes trying to get him to focus on them instead of Belle), either at real time or, in the case of Issues 5 and 8, via flashback. 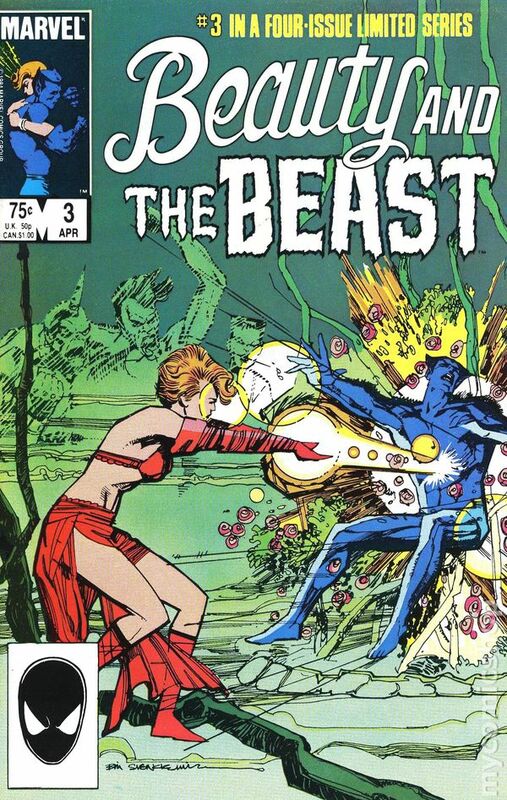 Starting with Issue 7 until Issue 10, flashbacks to Belle's time with her father were showcased, and Issue 11 and 13 also showcased flashbacks to the Beast and the servants time as humans. It is not to be confused with a similarly-titled 4-issue story arc for the X-Men franchise, and is usually referred to in official Marvel materials as Volume 2 to distinguish it. Some elements in the comic series were later included in the Broadway musical (most notably Wardrobe's backstory as being a former Opera Diva). Once there was a poor fisherman with three sons. 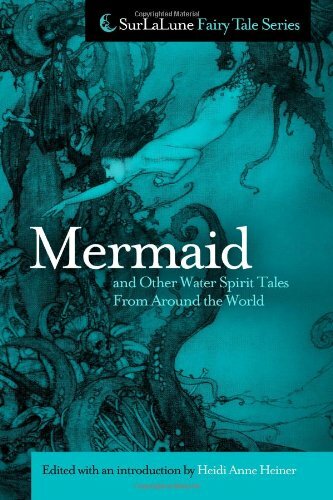 One night, he was trying unsuccessfully to fish, and a mermaid approached him. She told him that if he and his wife would give them their unborn son at the age of 21, she would make them rich. Neither he nor his wife has any problem agreeing to this, and the next night he finds more gold than he can carry, and becomes very prosperous. He went on to have a total of seven sons, but was burdened by the knowledge that he must lose one of them. Finally he revealed to the son in question that he had sold him to a mermaid and the time was nearly up, so the son decided to leave. Although his father was troubled at his going, the son took expenses and food and left. The son traveled until he was tired and sat down to rest, and saw a lion coming towards him. He thought he was dead for sure, but the lion offered to carry him. The lion carried him a long way and brought him to the house of a shoemaker. The shoemaker told the traveler that the next day, the King's daughter was going to be devoured by a sea monster, unless someone could defeat it. With nothing but an old rusty sword used for cutting vegetables, the son took a boat to where the Princess was waiting. No one but the young man had the courage to fight the monster, and he killed it. The Princess would only marry him. Shortly after, the mermaid approached, and revealed that her intention all along had not been to kill him, but to bring him to his present Kingdom to rescue the Princess. 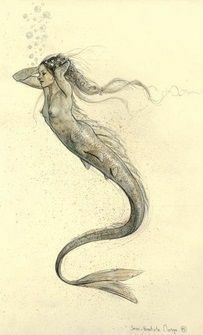 The mermaid left and was not seen again.